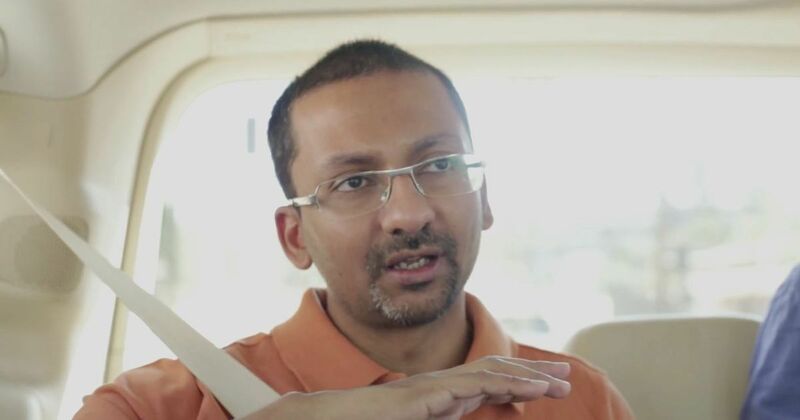 Saad Z Hossain’s second novel is a layered and complex work whose calibrated pace and multiplicity of registers add to its quality. It is almost trite praise to say that a literary work “resists classification”. But that, perhaps, is the most apt description of Bangladeshi writer Saad Z Hossain’s second novel, Djinn City. Ostensibly an urban fantasy novel set in modern-day Dhaka, the plot of Djinn City begins to burst at the seams very soon. It traverses multiple, interconnecting worlds, takes its characters to the top of the sky, the bottom of the ocean, and the subterranean earth, hurls them through space, time, and a place beyond time; and to top it all, tells the story through three separate narrative voices. “So we fought, the first war of ideology,” recounts one of the novel’s ambiguous protagonists, as events hurtle towards a climax. It is an apt summary of the scope of Hossain’s ambition. In Djinn City, he creates a world where the “first war of ideology”, fought in an age time out of mind, shapes and continues to shape it in myriad, countless ways. 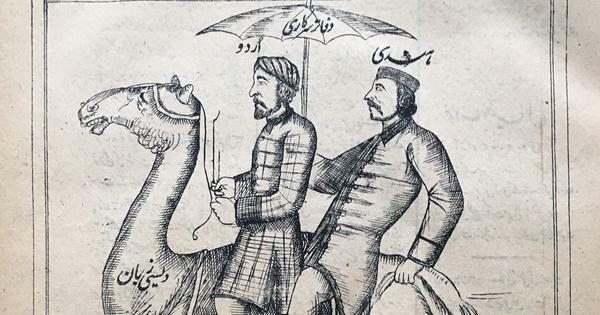 Djinn City imagines a reality in which human beings share the world with “Djinns” (Hossain’s “djinns”, drawn from Arabic mythology, are a race of highly-evolved, long-living beings with supernatural powers). The Djinn world, however, follows a “policy of seclusion”, according to which Djinns may not interfere, or have any contact with, the human world, except through a small group of chosen human intermediaries called “emissaries.” But, having held for centuries, there are now cracks appearing in the “policy of seclusion”. Led by a belligerent djinn called Matteras, an influential section of the Djinns has begun to argue that the proliferation of humans across the earth is creating an intolerable situation and they find themselves being pushed into smaller and smaller spaces. Matteras’ plan is to end the policy of seclusion and flood the Bay of Bengal. It is this existential threat that brings into the story the Khan Rahman clan, an influential Bangladeshi family with a long history of ties to the Djinn world. Djinn City tracks the intersecting storylines of three members of the Khan Rahman clan. First, there is Kaikobad, a widowed, onetime Djinn emissary, who triggers the events of the novel by falling into a mysterious, supernatural coma. Kaikobad finds himself in a place outside of time or history, bearing witness to the siege and battle for a great, nameless Djinn city. Second, there is Kaikobad’s neglected ten-year-old son, Indelbed, who suddenly finds himself hunted by the Djinns, and ultimately thrown into a deep underground pit by Matteras. There he finds himself in the company of a mysterious Djinn called Givaras, as well as a host of carnivorous giant worms. And thirdly, there is Rais, Indelbed’s cousin, who, after the incapacitation of Kaikobad and the disappearance of Indelbed, takes up the mantle of emissary and finds himself in a race against time to thwart Matteras’ plan of flooding the Bay of Bengal and destroying all of Bangladesh along with it. The three storylines, separate at first, gradually begin to converge towards a climax that has profound consequences for the future of human existence. This brief summary makes it evident that Djinn City is a hugely ambitious novel. Its very ambition, at times, can be something of an impediment – themes that could do with fuller exploration are left tantalisingly incomplete. For example, we are provided with an introduction to the world of Djinn politics, and how the arguments of rival Djinn factions intersect with the history of Djinn-human relations but then the plot shifts abruptly, and the theme is more or less abandoned. The same is true for a section of the panoply of characters that populate the novel’s stage. The human and Djinn protagonists are drawn clearly and vividly, but with the secondary characters, such as many of the “elder Djinn”, and Indelbed’s extended family – all of whom have crucial roles to play – their life histories and motivations are often left a little too much to the imagination. If Hossain is occasionally a victim of his own ambition, however, more often than not he succeeds. There are two contributing factors to this – a mastery of pace and a mastery of tone. Djinn City is immaculately paced, keeping its readers at the edge of their seats through the course of its 430-and-odd pages. 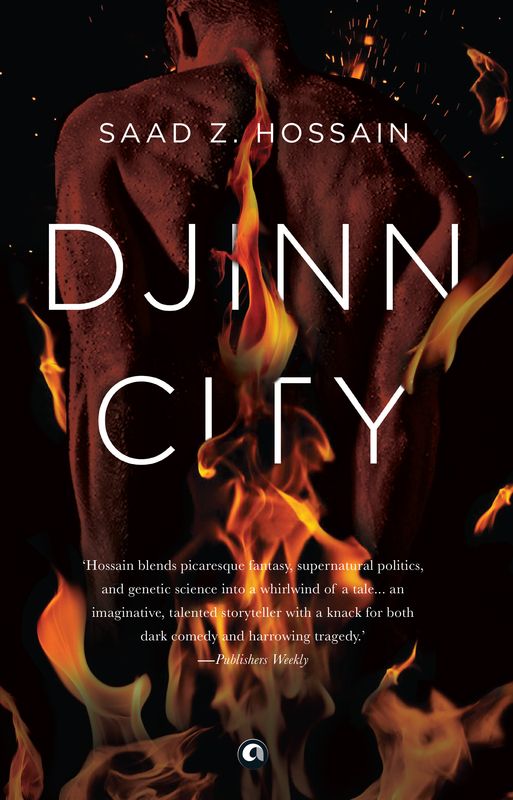 Perhaps even more impressively, however, not only is Djinn City written in multiple narrative points of view, it is written in multiple registers. Hossain switches effortlessly between darkly comic, wryly ironic, understated and epic, as the situation demands. While the interactions between Indelbed and Givaras in the pit are written in the playful, almost self-mocking tone that characterises Salman Rushdie’s Haroun and the Sea of Stories, and Rais’s quest is written in the bracing manner of Philip Pullman’s His Dark Materials, Kaikobad’s trance-like experiences of the Great Djinn war attain the loftiness of the best of epic fantasy. These multiple registers perhaps mark Hossain’s greatest triumph in what is undoubtedly a very complex, layered, and accomplished novel. Djinn City is an important contribution to modern fantasy literature, and joins a proliferating literary tradition of fantasy novels set in and around South Asia, which tap into a vocabulary, world and mythos that is entirely original and entirely their own. Djinn City, Saad Z Hossain, Aleph Book Company.